Today I made four different to do lists, three organizational spreadsheets, and scheduled an unending stream of touch bases and meetings for the coming weeks. On any other week that would make me anxious about all the things I’ve got to do, but right now I’m just feeling a wave of relief. Why? It means I’m finally sitting still long enough to plan. For the last two months I’ve been on the go non-stop. Vacations, work, a festival, and a tragedy have kept me busy and moving so much that a free moment to lie in my bed and plan out my next few weeks feels like bliss. I’ve always been a restless person and love being on-the-go, experiencing new things and visiting old friends. And don’t get me wrong, I’ve done some much-needed adventuring recently. Drinks while visiting old friends: …. 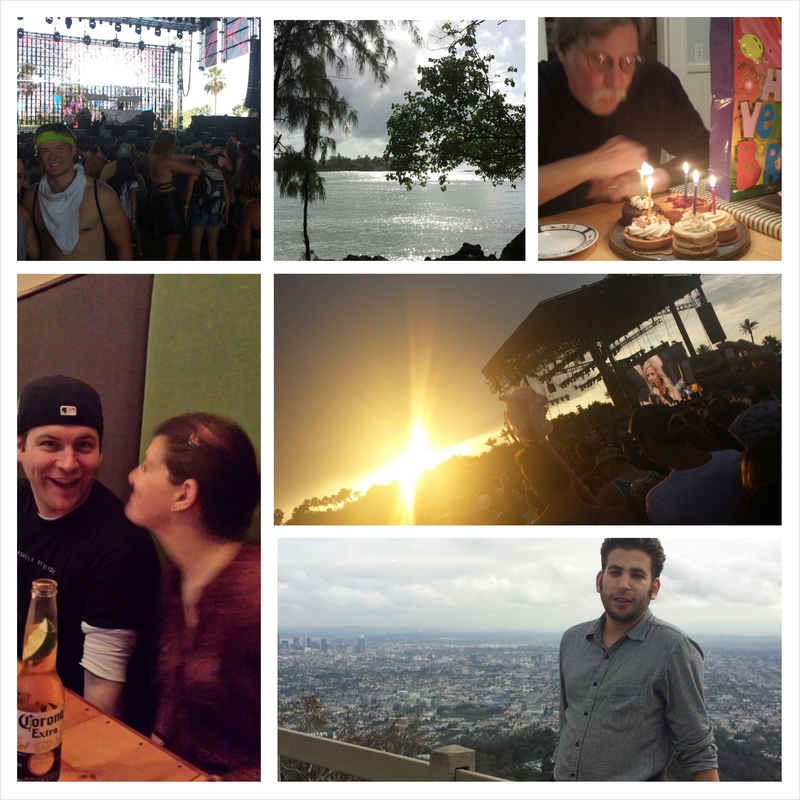 These past two months have been a much-needed reminder that I also need time to decompress. As I’ve been traveling and asking people to fill my time with new activities I haven’t been very good about giving myself space to breathe. So friends far and wide: I’m taking a break. I am committing to a few weeks–knowing me it wont be any longer than that–of time to relax. Reading, planning, cooking, sketching, and generally doing the things that make me happy and relaxed. What a novel concept. That comes with the caveat that I’ll be traveling next weekend, because God forbid I sit still. But it’s for a great, and hopefully relaxing reason: my mom and dad’s 30th wedding anniversary. The Family will be schlepping from our respective corners of the map to Bryce Canyon for a weekend. They aren’t a particularly taxing or tiring bunch, plus it’ll help me knock 2 new states off my list on my quest to get to all 50 states. And then I swear I’ll sit still. Until the next adventure arises? Last night after a day of avoiding the heat my family met up in Boston to take one of my best friends out to dinner before she leaves for the Peace Corps for 27 months (fun fact: I thought it was the Peace Core until at least Freshman year of college). My dad and I met up with my mom and brother, both of whom work in Boston, and headed over to Legal Harborside where we met Adrienne. Good seafood, good drinks and good company always make for a great night. 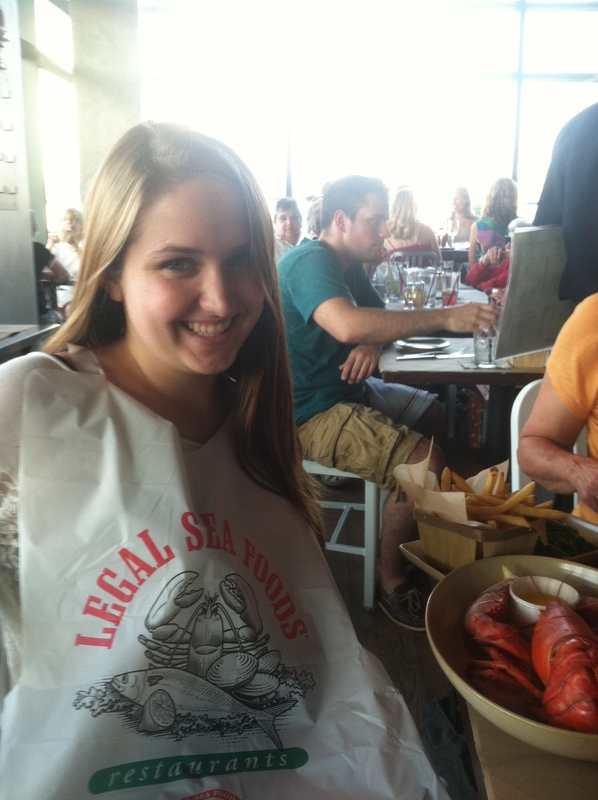 But I also had fun eating my first whole lobster. 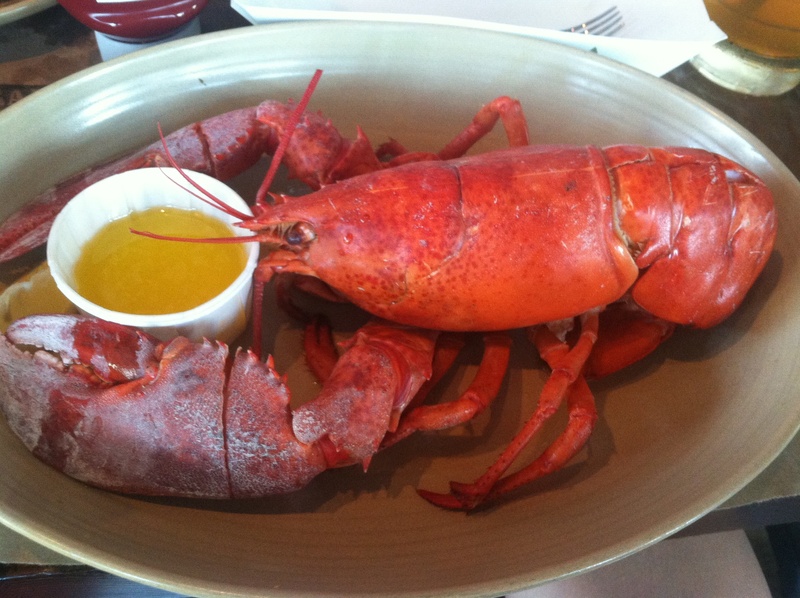 I’m some sort of failure of a New Englander, because while I’d had lobster rolls and lobster ravioli before, I’d never eaten a whole lobster. Trepidatious (I keep trying to make that a word..), I put on my bib and picked up my mini-fork. Turns out, I’m terrible at cracking and eating lobster. I’m pretty sure everyone around me was looking at me in disgust at my inability to pry out more than a bit at a time. But I did have a damn good time trying. You can see the sense of foreboding in my smile.. 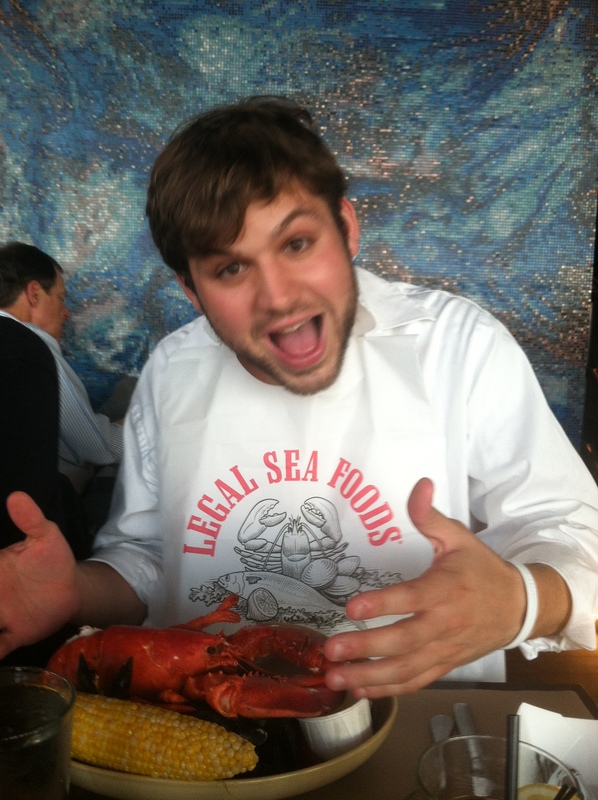 I enjoyed my lobster, but perhaps not quite as much as this guy. All in all it was a great night. I stayed in Boston with Adrienne while the working folks headed home. I sometimes forget how nice it is to spend time in Boston, particularly when it’s just a short train ride away. In fact, I discovered today that the MBTA commuter rail from Boston to Providence is the perfect length for reading a copy of Elle cover-to-cover, and I had time to spare to eat some Bourbon chicken and get dirty looks from the people around me. A successful train ride indeed. Back in Providence for the weekend, and hopefully it’ll cool off for a nicer weekend. 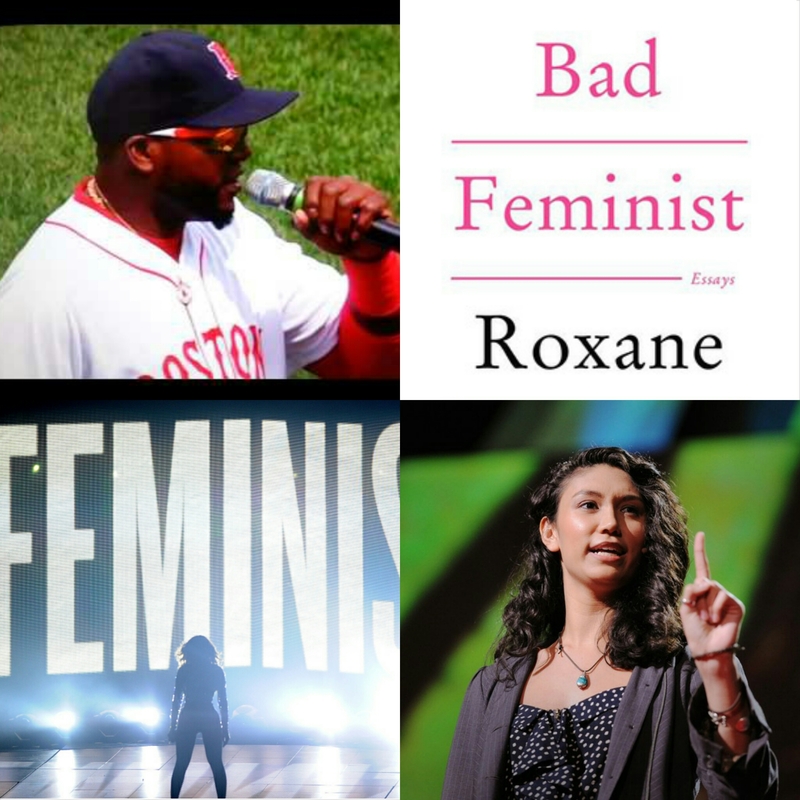 And now for a roundup of my weekend essentials. The Sandlot. Now that summer has finally arrived, I immediately want to watch this summer classic and eat some s’mores. This article on the Lebron James grudge–perhaps if I weren’t still bitter about the Celtics losing, it’d be easier to move on. I’m currently in love with this peach relish. It’s so refreshing, and in the hot weather I could eat it on just about anything. As for the one song I can’t get out of my head? Miranda Lambert’s Gunpowder & Lead. Essie has me hooked on their bright colors right now. I’m absolutely loving the Turquoise and Caicos and the Braziliant.